Regatta Name, Regatta type category (One Design, PHRF), Regatta Start Date, Regatta Stop date and multiple dates selected automatically populates the schedule for multiple or recurring dates), The Start Time which will be the Dock Time, Location of Boat for Dock Time, Link for Regatta, Uniform field (e.g. White Shirts), Crew Position assignments, Crew Availability updates, Crew Assignments for event (e.g. Brings beer, brings snacks). Post regatta fields Result (text field), Link to regatta result and Post Regatta Comment Field where a recap of the event may be added. Bow, Mast, Trimmer, Pit, Main, Helm, Squirrel, Snacktician, Crew, Guest, etc. 6. Regatta Calendar Display: Displays the regatta schedule with selectable view as weekly, monthly or agenda type list. The default view is a list that may be changed to a monthly or weekly view showing the events. When a person mouses over a regatta it will pop up the regatta info that includes: Regatta Name, Regatta Date, Dock Time, Boat Location and a text summary excerpt (not the full text available by clicking on the popup). Crew Member rows are color coded: Green crew is confirmed. Yellow crew need to verify with Skipper. Red does not crew for event. White crew position assignment not made yet. Additional information is included in the text field for each event. 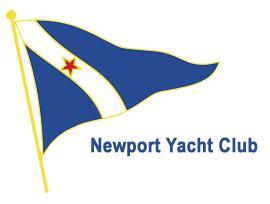 This is entered by the skipper and may include things like after race party, tides, weather, etc. 7. Email Notifications: The system will provide the following email notifications. Event Reminder – Automatically sends reminder of an event 36 hours in advance to the crew assigned to that event. It sends the event as listed on the calendar. Crew posts a comment – Automatically sends email to all crew when any crew member posts on the website. Typically this might be post event comments, picture links, etc.